One-component continuous membrane in acqueous emulsion resistant to water stagnation. It is ideal to impermeabilize flat surfaces and roofing in general, eaves, gutters, chimney-pots, walls, facades, old bitumen coats, metal sheets, prefabricated parts. Waterproofing of: roofing in general, old bitumen coats,foundation walls, earth retaining walls, eaves, gutters, concrete terraces, chimney- pots, roofs, walls, facades, roofing insulating systems made of polyurethane foams, flower pots and hanging gardens, concrete basins aimed at containing of non-corrosive and non-potable waters. This entry was posted in Water Resistant and tagged Product on 2 May 2015 by A.
Waterproof, permanently elastic seal. Baumacol Proof is a single-component, ready to use sealing film. For indoor use. It can be applied with a roller or spread on directly under ceramic wall tiles in showers, etc. The waiting time between coats: approx. 2 hrs. Advantages: Solvent-free, waterproof, permanently elastic, seam and joint-free seal. Sealing slurry for the creation of seam and jointfree seals. Hydraulically hardening, waterproof, yet water permeable flexible single-component sealing slurry for the creation of seam and joint-free seals. 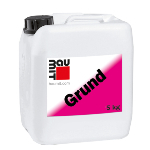 Sealing slurry for outdoor and indoor use. Application: Jointless insulation directly under the ceramic tiles on balconies, terraces, in swimming pools, bathrooms, etc.In addition to conventional substrates it is also suitable forsubstrates such as metal sheet, wood, particle board, or plastic. High quality, solvent-free, synthetic resin dispersion-based primer as a means of absorption compensation and bonding agent. 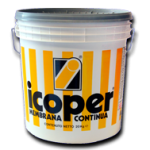 For absorbent substrates such as cement and calcium sulphate coatings, raw concrete ceilings etc. with very good penetration ability. Asa system component for Baumit liquid putties such as Baumit Baumacol Proof and Baumit Baumacol Protect. Advantages: For all substrates, good penetration ability, solvent-free.